Can you imagine being a basketball player and having the opportunity to train and practice with NBA’s own Lebron? What about a football athlete and throwing passes or asking advice from NFL Superstar Cam Newton? 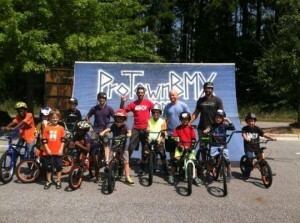 Well with the Protown BMX Camp thats exactly what we are doing. You will be able to work together with various Top BMX Freestyle riders and be right in the middle of the action. Don’t Miss OUT!!! We are a Professional Team of BMX Freestyle Riders that want to encourage, educate and help progress current riders and individuals new to the sport. It is a bike camp for people of all ages, who may be new to BMX Freestyle that want help with getting started on ramps or for experienced riders that want help taking their riding to the next level!! We offer a camp that will support your bike riding skills and greatly enhance your abilities. We will have coaching that will cater to each riders ability, specifically. You will be able to ask the instructors questions and get help with specific tricks. We will have groups, so participants will meet others with similar skills/age and begin to positively motivate each other. We will offer safety education, bike maintenance, many how to’s and trick tips including using the different ramps, with general skate park etiquette, spread out between the different camps. We will also educate on how contests work, how to put a run together including flow and trick difficulty, and have a mini clinic contest on the 6th week with prizes and awards. We keep if FUN, encouraging every rider with every skill level to “have fun and learn” Our camp supports setting goals, conquering fears and gaining confidence that riders can continue throughout their lives, both, on and off their bikes!! We need a participant and a willingness to learn/try. Participants can range is age, but they need to be able to ride a bike without training wheels. We cater to ALL ages and YES, we can teach an old dog new tricks!! Any bike will do but prefer a BMX type bike with 2 pegs on 1 side, rear wheel is a “freewheel” so rider can pedal backwards and rear hand brakes. We have extra bikes, pegs and helmets available to use. So PLEASE, don’t feel as though you have to go out and buy all this stuff as you can use ours. We will see how the participant does and we can help with recommendations from there. Remember, we are Pros, and although BMX bikes have evolved to tailored machines, we learned on some of the basic bikes of our day. Registration is Now OPEN for Fall BMX Camp 2018. Fall BMX Camp will feature a 6-7 session course with a mini contest on the 6th week. The 7th week will be used as a bonus camp date, if a rain date is not used. Fall Camp will be on Saturdays from 9am-12pm at Jaycee Park, 2000 Cedar Ln, Greenville NC. 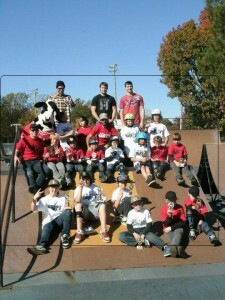 Registration for Summer BMX Camp is $250 for the 6 week course and include the contest. You MUST register online as we will not take any registration on site. Once your registration has been completed, you will receive a paypal invoice. This will cover all instruction for the session, all rider fees, shirt, beverages, some lunches, contest, giftbag and any prizes/awards. Rider must take at least 4 camp dates to be eligible for the contest. Participants registering for multiple dates with have priority over those registering for less. Spots are very limited, sorry!